SkyBreathe® strengthens NAVBLUE fuel and flight efficiency suite for flight operations. The solution will be integrated into the Airbus big data platform Skywise, optimizing aircraft fleet performance and fuel efficiency through data analytics. Using Big Data algorithms, the software analyses the large amount of data in flight recorders to assess flight efficiency. The assessment takes account of flight conditions including payload, weather conditions, flight path and ATC constraints. The software provides reports, dashboards and customized analytics that can be used by flight ops engineers and pilots to improve the Airlines decision making capabilities. “Based on this information, Airlines can implement the most efficient practices to reduce their fuel burn and save money, as jet fuel represents ~30% of their costs” says Alexandre Feray, CEO of OpenAirlines. 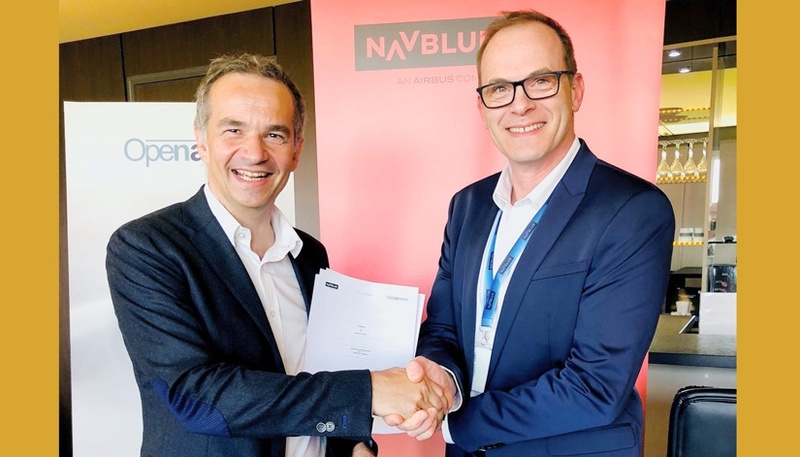 “We are delighted to partner OpenAirlines with this best in class solution for our customers” says Fabrice Hamel, CEO of NAVBLUE.” SkyBreathe® will enhance the fuel efficiency portfolio in existence at NAVBLUE complimenting new tools such as the IDLE factor optimizer”. The Mexican carrier Interjet has selected NAVBLUE to define its integrated fuel efficiency solution powered by SkyBreathe ® combined with expertise of NAVBLUE consultancy team. To us, this endorsement from Navblue and Airbus is a recognition of the quality of our work and of SkyBreathe®, today the most advanced fuel saving solution in the marketplace. OpenAirlines was founded in Toulouse, France, in 2006 to meet the needs of airlines wishing to optimize their flight operations and to reduce costs. Leveraging a team of airline specialists and data scientists, OpenAirlines offers innovative solutions based on Cloud, Artificial Intelligence, and Big Data to save fuel (SkyBreathe®), manage crews (CrewIntelligence™) and improve on-time performance (OCCIntelligence™).